A Divine Day: Turtleback Yarn is here!! 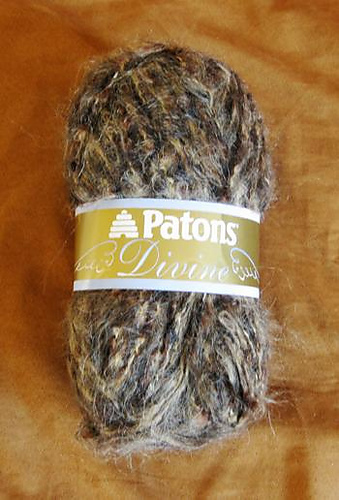 The Patons Divine arrived yesterday and I got started right away. Owhat a fun project this is going to be….? I only got 5 rows into it when I realized I had reversed the last row, and talk about PIA trying to back-track with this fuzzy stuff, what a mess! Thank goodness I’m starting with a 13 needle, so I can see what is happening. After row 6, it drops to a size 6 needle. This stuff looks like the hair I pull out of mine and Mike’s hair brush-if you held it up to our heads, it’s a match!!! Think of the money I could save LOL! This is only half of the work, the other half is on the other needle, the stitches are so scrunched on two needles, I’m going to need a circular soon, this is too hard to work with. More later, back to work!